Take the role of a Sheriff in the Western remote village. you have already accepted the challenge, of the Boss of the criminals. Now you have to prove yourself by defeating 10 pals of the Boss, and then finally defeating him. 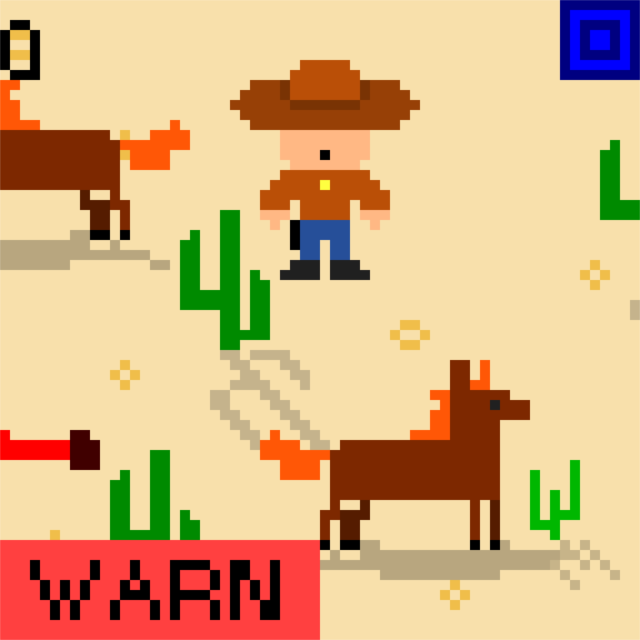 Get ready to take the Adventure in the Fast Paced, Beat-Em-Up, Western style Game. 'X' to see the current status of the village and your next target. 'Space' to warn the criminals for the fight and in the fight screen press 'Space' repeatedly to shoot the criminals and dominate them. 'Esc' to bring back the main menu. Simply, download and run the game to play.